Birdsong, by Sebastian Faulks, is one of the best works of First World War-rooted literature I've read (although if you can recommend others, I'm all ears), and far surpasses his more recent works. Now Birdsong fans can breathe a sigh of nostalgia thanks to a film version of the novel being released, hot on the heels of the 2012 BBC miniseries. Rupert Wyatt has adapted the script and will be directing this version of the modern classic, and Nicholas Hoult is rumoured to be starring in the main role. No release date has yet been set for the film, but you can be sure that I'll be in the queue at the cinema as soon as it comes out. Also up for adaptation is Tolstoy's War and Peace, which will be adapted for the BBC by Andrew Davies (who to date has already adapted such classics as Pride and Prejudice and Bleak House). While it sounds like it could be a little dumbed down according to the Telegraph's report (which states that "lengthy philosophical elements of the book will be left out"), the emphasis on romance and on human relationships is not without appeal. There are already whispers on the wind that Davies hopes to cast an unknown as Natasha - and after her sterling performance as Kitty in the recently released Anna Karenina, I do hope fervently that rising star Alicia Vikander will be considered. 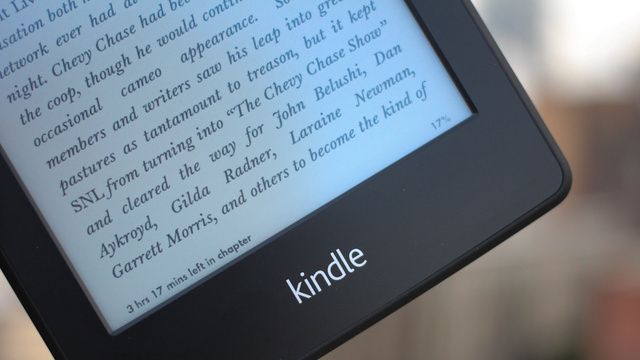 Amazon was last week granted a new patent to sell used ebooks and other digital objects, Wired magazine reports. Purportedly working similarly to Amazon Kindle's ebook lending process, the original owner of the digital file would transfer the access rights to the buyer permanently. However, I'm not sure how far this can really work: how can you ensure, for instance, that the old user would really delete all traces of the file from their own computers, rather than simply continuing to use them? It seems that Bill Rosenblatt, a consultant and expert witness in digital content patent cases, is also worried about an issue that equally plagues the second-hand market for physical books: the fact that the publisher loses control completely once the book leaves their hands. I think there's still a lot to iron out here before this can really be put into practice. Several book lovers (including myself) are often guilty of using physical bookshops as mere showrooms: we go in, we look around, we make a list, and then buy the books off cheaper websites later. The CEO of HarperCollins UK, Victoria Barnsley, has suggested a solution to this problem: charging book lovers for the right to browse. Some shoe stores apparently exercise this policy already in America to sort the wheat from the chaff, and while I agree that it could do this, I also think that it could reduce the number of people buying unexpectedly. How many times have I gone in not intending to buy and yet come out with something anyway? Quite a few, in fact. It seems to me that knowing you will buy before you even enter the shop, because you are in effect forced to purchase, also removes some of the excitement and limits customers' ability to research a purchase. My view? It's a risky strategy that, like Amazon's ebook second-hand store idea, will require careful thought.